When I started writing about games just last year, my first article series was about revisiting Xbox 360 games through the Backwards Compatibility program. I used it mainly as an excuse to ignore my increasing backlog of games and to focus instead on replaying masterpieces that needed to be experienced again. 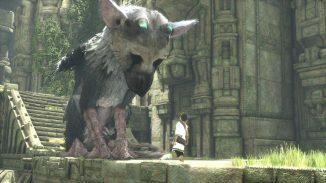 Having to write articles can serve as a great motivation to play a certain type of games that you’d otherwise put aside indefinitely for the latest AAA release (which seem to be releasing at a greater interval than ever before). When I bought a Playstation 4 last year, I quickly amassed a large number of games on it but couldn’t quite find the time to play any. I also noticed that I was buying mostly PS2 & PS3 games through the digital store because I missed them the first time around. 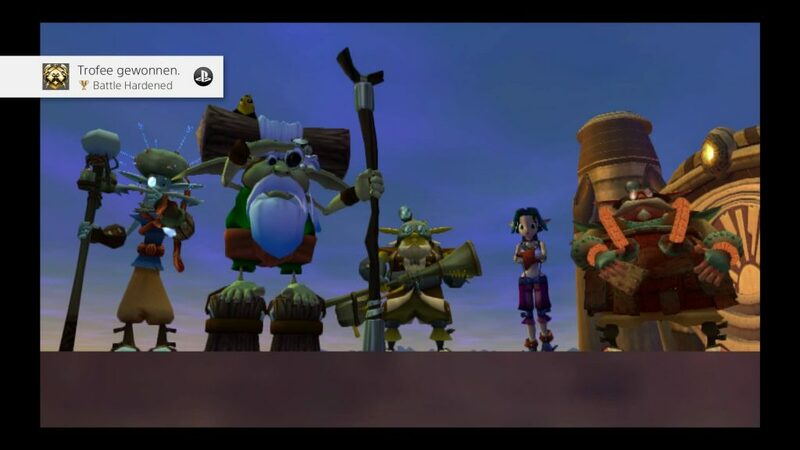 For this new article series I’ll be playing those (remastered versions when possible) to give the Playstation brand some much needed love after being exclusive to Microsoft’s line of consoles since 2008… The first game I tackled with this in mind, was Jak & Daxter. 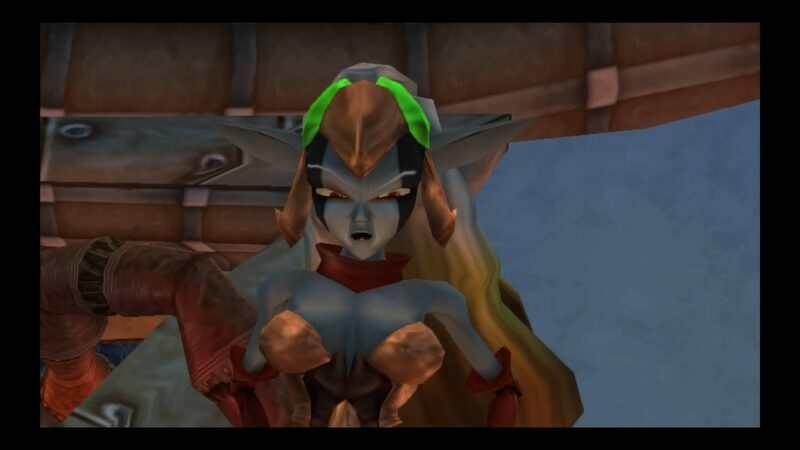 It’s a 2001 Playstation 2 game, but the PS4 version received a 1080 uprendering and most importantly: It’s rather kid-friendly so I could play it while my darling daughter, Fé, was spectating. Like other such games before it, I’ll let her chip in with some commentary here and there. 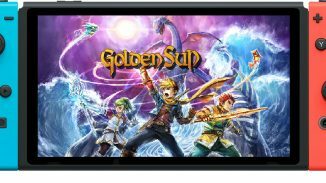 Usually platforming games (which is what I would define this game as being even though the sequels lean more towards being action games) don’t need much of a story. Save the princess, defeat the bad guy, get X number of collectibles. And then some details get added along the way to give you a drive to move forward. 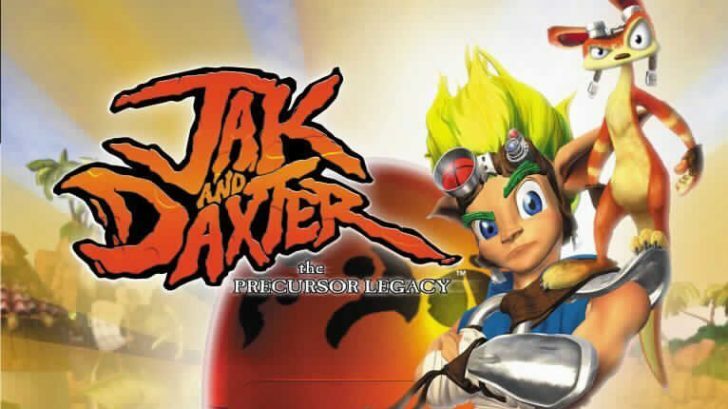 Jak & Daxter falls into the latter category as you’ll mainly be tasked to collect some power cells to proceed with the main quest. I like it when they do a victory dance. Daxter has some sweet moves! At first this seems to be finding a way to restore your partner Daxter to his former self as falling into some Dark Eco turned him into an Ottsel (basically an anthropomorphic otter) but eventually you’ll discover that an evil duo is kidnapping all the world’s sages and we’re apparently the only ones capable enough to investigate. A unarmed boy and his pet? Don’t they have knights or superheroes with powers? But if this is the baddie… Maybe those old geezers went voluntarily? While the visual quality may not have aged well (it’s immediately apparent that this is a PS2 title) the level design and style have certainly kept up well. Yes, like any platformer the area’s you’ll visit fall into the most common clichés (island, lava, factory, mine, snowy mountain) but they all have their own visual appeal and the different elements in them all generate a different feel. Like the spidercave. I don’t like how that one made me feel. It’s icky! 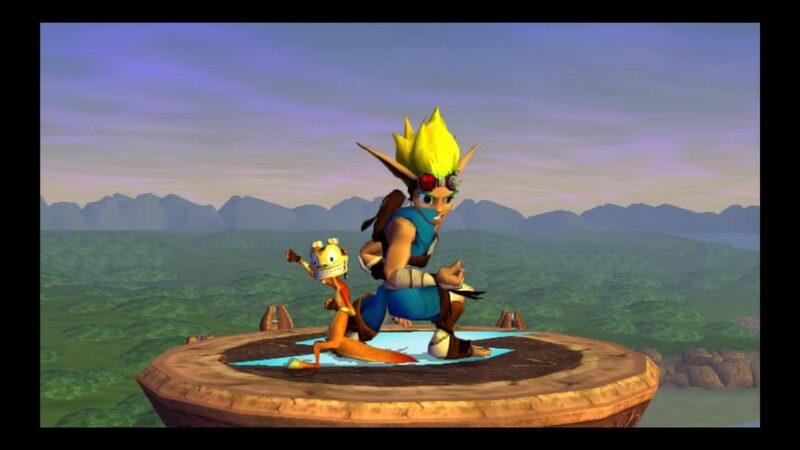 As for character design, I especially like Jak & Daxter themselves as the main protagonists. Their animations look awesome and full of life. It was during this console generation that developers really started to succeed in getting believable movements and facial animations in their games. At times it felt like watching a Saturday morning cartoon. Each character you meet in the world also has a very unique look to them; I’ve always been a fan of quality over quantity. Only a handful of characters exist in the game but the ones that are here have great voice acting. 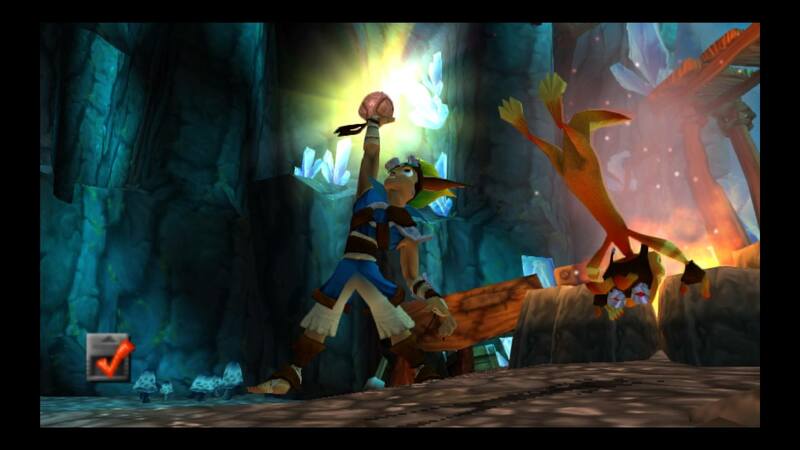 Especially Daxter remains a memorable personality with his quips and sarcastic remarks. Uhuh. The little squirrel guy is really funny! I would love to have a pet like him! Jak himself is still a silent protagonist in this game though and since most of the time it’s just the two of you out exploring you’ll go for long stretches without any dialog. The background music, on the other hand, is ever present. Most of the audio tracks seem to have some sort of percussion instrument in common and depending on who you’re talking to or who’s side-quest you’re doing the music changes up a bit. While most tracks are rather similar, strangely enough they never did seem to tire me. Even though they played in an endless loop. 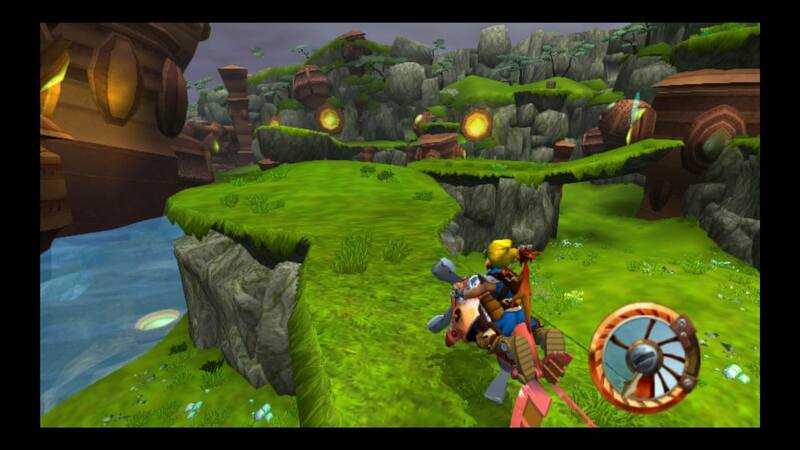 As I said earlier, while the more recent Jak games have a more action oriented (or even racing) mechanic at its core, the first game in the series is best defined as a platformer. When the controls respond well, it’s very enjoyable and the quick progression pace makes for a very addictive experience. It’s unfortunate then, that sometimes you’ll die or jump off a cliff wondering what the hell you did wrong. At several occasions I found myself scratching my head as to why Jak didn’t want to perform a double jump from certain platforms onto others. It was frustrating and having to retry what seemed like a very doable jump many times over felt like reason enough to quit the game. Luckily it has a very forgiving check-point system so you’ll never have to retread too much ground to get to where you jumped to your own doom. Adding to the frustration is that the camera can be blocked by walls and other elements in the level, so it’s sometimes difficult to get the correct angle and actually see where you need to be going. Most environments are open enough that it doesn’t occur too often, but this has always been the Achilles heel of any platforming game. + There’s also a troubling 1st person shooting segment where I really regretted not being able to change whether or not the camera could be inverted. As for combat mechanics, these are VERY limited: you can punch, you can smash down after a jump or you can do a roundhouse kick. Eventually at some points you’ll also pick up Yellow Eco and be able to shoot some fireballs but that’s about it. Most enemies go down in a few hits so they never really pose a problem and bosses simply require to find their attack pattern and dodge + perform the same kind of action a few times over. Nothing too challenging. To switch things up, you’ll also have several vehicles or mounts at your disposal but only when the game says you can use them and you can’t get off when you want to. These are an interesting change of pace as far as gameplay goes, but their controls leave much to be desired. Greater velocity + narrow paths? Sounds fun! Because you move faster when on them you’ll also need some tight controls but you can’t really take sharp corners or slow down fast enough to have perfect manoeuvring. It can be an exercise in frustration but you just need some perseverance and eventually you’ll get to the next checkpoint. Or you’ll quit the game for the day and try again the next day. Like daddy did. Twice! 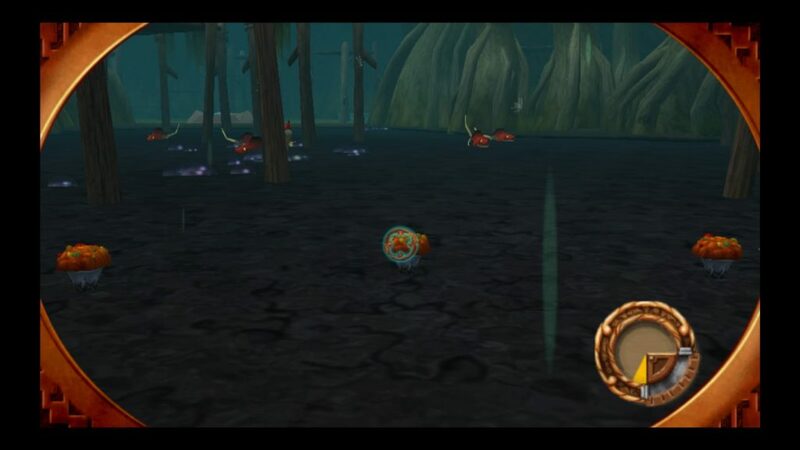 Almost any task you perform in the game amounts to the same result: you’ll get a Power Cell and if you collect enough of them the game will let you proceed. In total there are 100 to collect and you’ll need at least 72 of them to beat the game. At that point it’s only a small step to backtrack and get the remaining ones so it’s very tempting to 100% this one. It also isn’t a very long game. If you know every item’s location and the ideal path through the levels you can likely finish it in one sitting. At least if you don’t have a spectating daughter with a short attention span. Hey! That’s mean! I don’t have a short… a short… oh, isn’t Micky Mouse Clubhouse on? Can we watch that instead? I had fun playing Jak & Daxter. It’s not the best platformer around but it doesn’t outstay its welcome and the collecting of Power Cells is genuinely rewarding. The platforming and camera could have used some refining as is the case with the vehicle sections, but in the end I can’t say I didn’t enjoy my time with this likeable duo. It at least succeeded in making me curious about the sequels. I give this game a rating of 3,5 out of 5 precursor orbs! 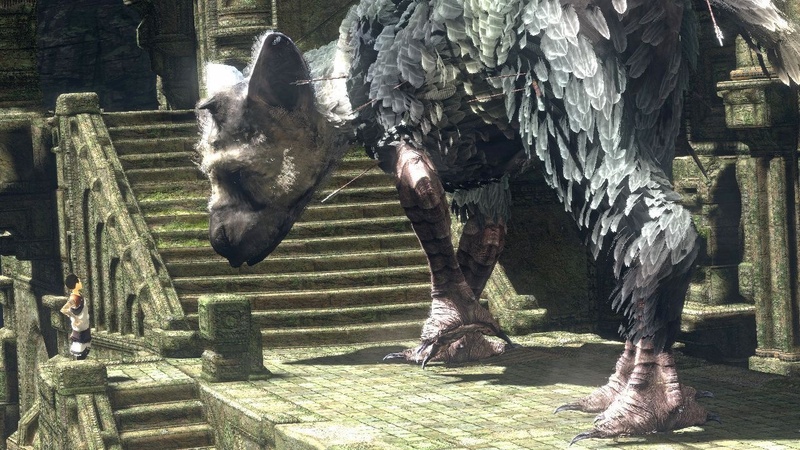 The Last Guardian Collector’s Edition Available Again?